There are many decisions involved in choosing your perfect chandelier! A chandelier is the visual focal point of any room. This article is aimed to help make some of those decisions easier but initially focusing on the fundamental question “How to choose the correct size Chandelier”. Firstly, you need to know the size of the room. This is because the size of the chandelier depends on the size of the room. 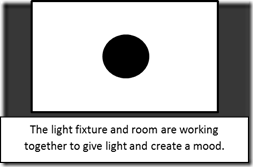 Once you know the size of the room, to calculate the diameter of a light fixture you add the length and the width of the room together in ft in order to get the diameter in inches. e.g 4ft + 5ft = 9” in diameter. And what about the ceiling height? The ceiling height is also taken into consideration to ensure you get the perfect sized chandelier. A standard ceiling height is 8ft. For this, the chandelier will ideally need to have a height of 20-24 inches. One general rule for ceilings is that you multiply the ceiling height (ft) by 2.5-3 inches to get the perfect height of the chandelier. Using this rule as a guideline, for a ceiling height of 9ft, the height of the chandlier should be between 22.5 and 27 inches. Some rooms can already have more than one light fixture, this isn’t a problem! You should probably go for 2 similar chandeliers. 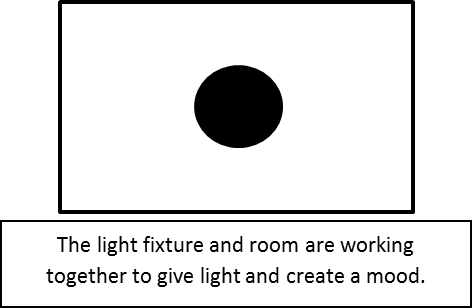 To calculate the diameter for a room that has 2 light fixtures, you simply half the length of the room and then use the same process. E.g. for a room of 18ft by 20ft, you would half that to 2 rooms of 18ft by 10ft. So the diameter for 2 chandeliers would be 28”. A table is the focal point of a Dining Room, so the desired effect of a light fixture would be to compliment the table. To do this, a chandelier is usually expected to be ½ or 2/3 of the size of the table. For an average dining table (80 cm high), the height of the light fixture should be between 3-4 ft above the table. It is obviously important for you to be able to see the other person across the table from you! In staircases and hallways the guidelines aren’t as relevant because in both of these two situations the chandelier will be the main focus. For calculating the diameter however, the guidelines could be helpful but aren’t as strict. The chandelier can set the tone for the rest of the house so the aesthetics of the chandelier are important when in these two places. You should make sure the colour scheme matches the rest of the house as well as the style of the chandelier (for example shouldn’t have a classical chandelier in a contemporary house). When it comes to staircases, if there is a walkway under the staircase the chandelier should be 7ft from the ground. In any other case, the chandelier can be as close to the ground as you want. As a room, the hallway doesn’t have much of a purpose, so the light fixture in this room has the potential to be as extravagant as you might like. The lighting in the hallway would be an introduction to the house and would ultimately set the tone. Some of the variety of Stairwell Chandeliers we sell can be available to view if you follow the link. We hope this helps you with your Chandelier choosing!